Over the last few years Chile’s foodie scene has changed unrecognisably. Somewhat like the British with their meat and two veg, traditional Chilean food is simple, safe and somewhat unimaginative. But recent years have seen Chilean gastronomy reaching global standards and global influence appearing in Chilean dishes. There was a time when the height of sophistication when it came to coffee in Chile was being a cup of steaming Nescafé. Luckily times are changing and the Santiago coffee scene is moving from freeze-dried granules to locally ground arabica. 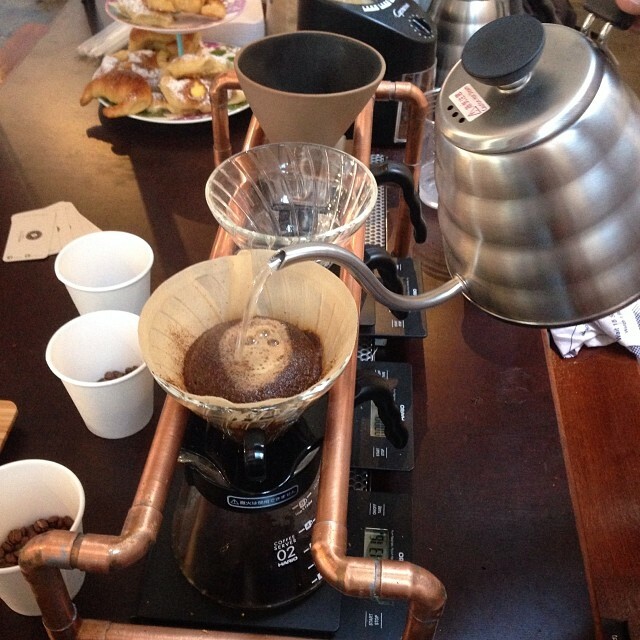 Such is the transformation that drip coffee has even come to town. One such vendor peddles into Plaza Perú in Barrio El Golf (a smart part of the city known as Sanhattan) each Wednesday and stays from 9am to 4pm. Although very possibly the most charming coffee vendor in Santiago, this coffee is the real McCoy. And best of all, with each cup of coffee you’re given a free chocolate. “I like chocolate with my coffee,” says owner Seba Alvarez, the man behind the peddle power. I couldn’t agree more. The coffee is roasted in Santiago and smells like chocolate. The origin varies but a favourite is from Cuzco (Peru). Sometimes there are muffins and pastries but you can always stock up at the organic market which also takes place at the same time. 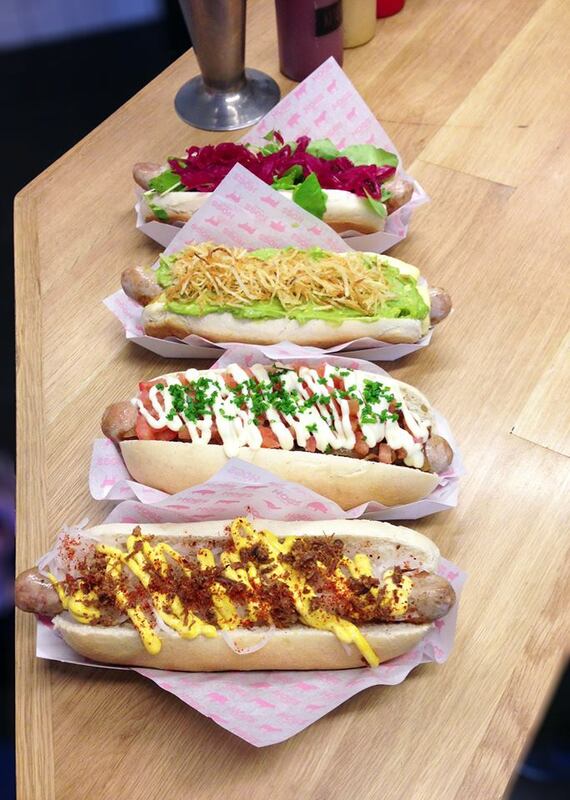 In a country where hotdogs are lauded as the national dish – there are, of course, other classics like crab pie and abalones but Chileans can’t get enough avocado-filled hotdogs – it only makes sense that they should come on wheels. Hogs is what is known as a “salchichería” (sausage shop) and as well having a couple of hot dog stands in Los Leones and Lastarria, they also have a van which trundles up to Parque Bicentenario on weekends. The difference between Hogs and all the other hotdogs on offer in Santiago (believe me there are plenty) is that these guys have gone gourmet and their artisan sausages are 100% meat. And it’s not just pork, they also have venison, lamb and rabbit sausages! As for toppings, if you want to do things the Chilean way it’s got to be the Italiana with avocado, mayonnaise and ketchup but there’s plenty on offer including caramelized onions, blue cheese and chilli sauce. The last one isn’t strictly speaking on wheels, but this Swiss-Chilean owned chocolate shop looks like a little garden shed or a Wendy House. 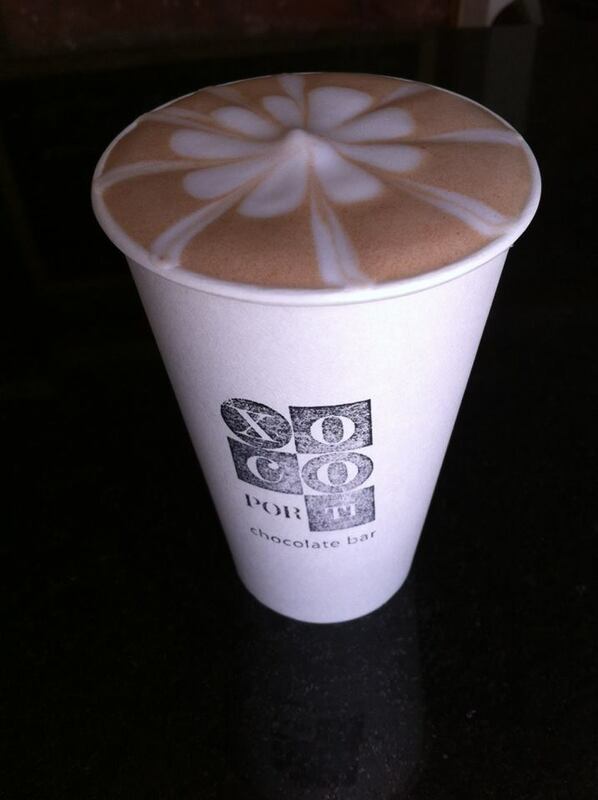 Anyway, Xoco Por Ti is a blue, yellow and white wooden chocolate bar serving purely liquid chocolate. The options are simply strength, origin, hot or cold, cow, soya or almond milk. Owned and run by the perfect chocolatière couple, Olivier is Swiss and his girlfriend Javiera is Chilean and looks just like Audrey Tatou. Five different types of chocolate are used to make the drinks: Peruvian, Ecuadorian, Brazilian, Venezuelan and Bolivian. The idea is to go for frappes in summer and hot chocolate in winter. To get a taste of this perfectionist pair, the frappes are made using milk ice cubes so as not to add water and upset the chocolate blend. The top three blends are also frozen into creamy ice cream so you can opt for scoops of chocolate rather than liquid. Ask nicely and Olivier and Javiera will also sell chocolate by the gram. Gabriel O’Rorke is the author of the Santiago City Guide an app for smart phones and tablets (recommended by The Independent) with maps that work offline so you can explore the city without incurring roaming charges. The guide has been downloaded in 11 countries and is full of cafes, restaurants and hidden gems that you won’t find in standard guidebooks. Apple users can download the Santiago City Guide from iTunes, whilst Android users can find it on Google Play.